Few things are more satisfying than an earthy, rich red wine from the south of France. Those deep, dark fruit flavours. That whiff of garrigue. The hints of herbs and spices. But…maybe not the stench of barnyard so strong that it seems as though a horse has dropped its posterior onto your nasal passages. Experienced wine drinkers will already be familiar with brettanomyces, that naturally occurring yeast that is either loved or loathed and can enhance or destroy a wine depending on its potency. Brett can divide a room. The Aussies? They hate it and the style of wine they make down under reflects their dislike for the whiff of barnyard and sweaty horse that it adds to a wine. The French? Well they don’t mind. At its best, a dash of brett can add a bit of tobacco, leather, bacon, smoke and so on. At its worst you wonder if the winemaker blended in a few bushels of manure from his neighbour’s grazing livestock. It isn’t often that a wine’s aroma actually makes me recoil, but in the case of this bottle of Les Obriers de la Peir Terrasses de Larzac 2012,which was part of a review case that Berry Bros sent to me, the odour of manure dominated the wine and diminished anything else that was good about it. I recall the first bottle being a little stinky, but nothing could have prepared me for the blast of cow dung lurking in this bottle’s inner recesses. For £18.45 a bottle as listed on the BBR site, this wine isn’t exactly on the value end of things. I would expect a higher quality level, but the fact remains that something like brett can’t always be controlled. Had I bought it myself, I would have taken it back — and that’s saying a lot because most of the time I like a little barnyard in my wines. It’s precisely the reason I prefer the earthy wines of the Rhone and Languedoc to the typical laser-sharp Aussie shiraz. UPDATE: A day after opening this bottle, the overpowering aroma had diminished and fell away to the background, although there were still clear barnyard notes. This wine is apparently not known to be bretty, so did I misinterpret it? It could have been something else, but it doesn’t change what I first picked up when I opened the bottle. So what is this thing called brett and how prevalent is it? Jamie Goode did an excellent job explaining brett back in 2003. In short, it is a yeast — a unicellular fungus — that appears regularly in winemaking. It is often believed to spoil a wine, but this is the topic of hot debate. During the winemaking process, all of the yeasts that exist in the grape juice usually get eliminated as fermentation progresses and the alcohol level rises. Normally, all these critters disappear when fermentation is complete, but if there are sugars and nutrients left over, this can open the door to our little friend brett. 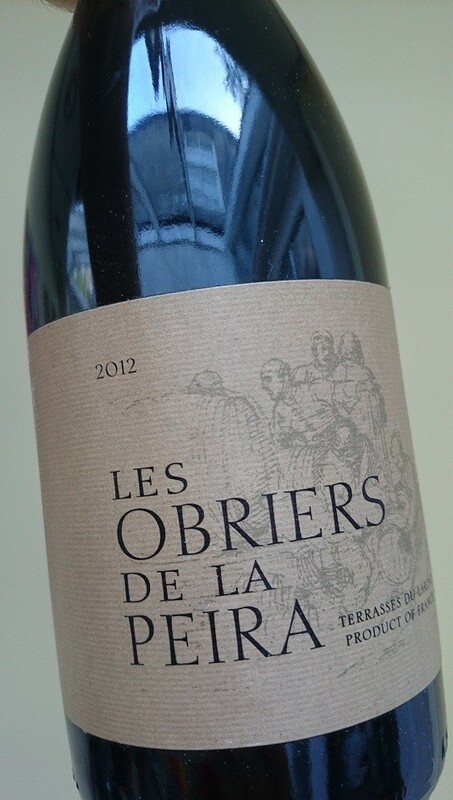 Brett is a big fan of juicy, opulent red wines (like the Obriers de la Peira above) that are made with ripe grapes, have higher alcohol levels, high pH levels and low acidity. It likes to lurk in the vineyard on the grapes as well as in the winery. Good hygiene and clean winemaking equipment can go some way to holding brett at bay, but the fact that it exists on the grapes themselves means that it can pop up any time it likes. Filtration helps to hold it at bay. At lower levels, brett is often one of the main contributors to a wine’s aromas and complexity. 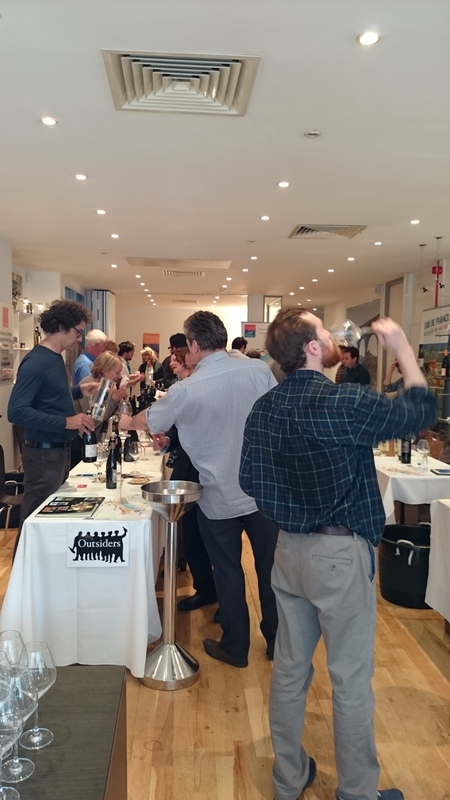 For example, it has a long history in Bordeaux wines, but its effects have been reduced over the years as winemaking practices have modernised and improved. I’ll come out and say that I don’t mind a little bit of brett. But only a little. I draw the line at the point when my wine glass smells as though it’s filled with manure. It came as a shock, but someone recently told me I should review more wine and spend less time writing about the usual nonsense that blackens these pages. Under normal circumstances I would scoff at a suggestion like this, but then a clutch of sample bottles turned up at my doorstep and I realised I might have to do some actual work for a change. In entirely unrelated news, this past weekend I found myself entangled in one of those weird exchanges on a friend’s Facebook status update where a preference for wine was being determined through nationalism. I expect this with sports and even the way words are spelled (aluminum vs aluminium being a typical example), but wine? The only thing I am truly nationalistic about is maple syrup and hockey. And even then, maybe only the maple syrup (if it’s made in Vermont, it isn’t allowed in my house). This is for good reason. Only recently has Canadian wine become something to be proud about, so it will take us some time to develop deep-seated nationalistic feelings towards it. So, anyway, the main thing that I learned from this experience was that, for some people, there is only one wine worth drinking. The mere thought of this frightened me. What do we do if phylloxera were to decimate all of France’s vines again? If global warming renders California too hot for grapes? If invasive species overtake Australia? Better to have a taste for all of the world’s wines, I should think. 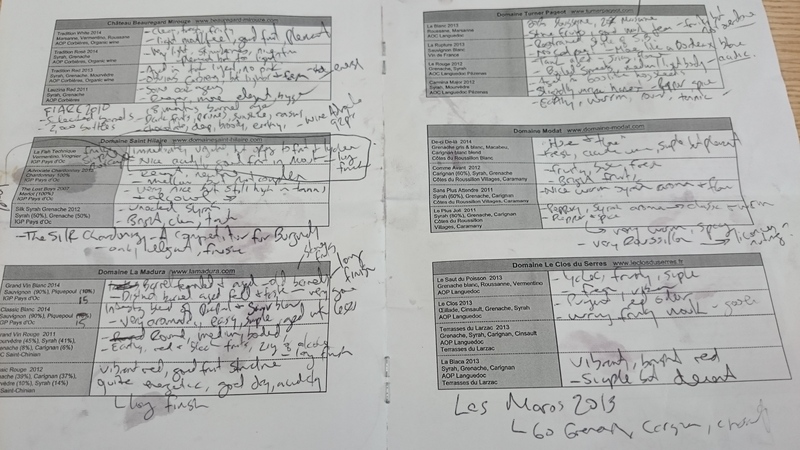 With that in mind, the following is a themeless and unstructured round-up of several wines that I’ve been tasting – and actually enjoying – lately. As I discussed in the spring, Berry Bros offered me a short trial of their new wine club and since then I have been putting their selection to the test. One such test was to including one that faced the most challenging crowd of all at the regular 7WordWineReview dinner. That wine, a St Hubert’s Pinot Noir Yarra Valley 2011, earned high praise. So far, so good. Yarra Valley pinot is a bit too easy though. So here we have something from a region of Italy that most wine drinkers probably don’t know very well: Basilicata. This region borders Puglia and is in the centre of the instep of the boot of Italy. The wine, made from the aglianico grape and known as Aglianico del Vulture, is deep in colour and backed up by tannins, acidity and ample dark cherry fruit to match. This Musto Carmelitano Serra del Prete Aglianico del Vulture 2011 doesn’t come cheaply, but you would be hard pressed to find this kind of quality at a lower price. This isn’t just some over-baked red wine from broiling hot southern Italy. It is deep and savoury, balanced with tannin and acidity, and surprisingly fresh with that dose of minerality that people talk about so much these days. And now, to Australia. There is something about Australian wines that I always find distinctive. To call it ‘sterile’ would be insulting. What I mean to say is that there is a preciseness about them that makes them razor-sharp, fresh and clean. There is often a touch of eucalyptus or mint in there that adds to this effect. This wine, a Penfolds Bin 138 Shiraz Grenache Mataro 2012, is a long way removed from those lesser Penfolds wines you find in the supermarket. It is approachable now, but it gives clues of its ageworthiness. It is precise, finely balanced in acidity, tannin and fruit, but is also deep and bold without having any flabby characteristics. This is one of those GSM wines (grenache, shiraz/syrah, mourvedre/mataro) that have become popular not only in Australia but other realms that offer ideal growing conditions for Rhone-style wines. I am not entirely sure of all the major retailers of this wine, but you can buy this one from Frazier’s Wine Merchants for £22.50. This is a good wine that is worth seeking out if you want something Australian that aspires to deliver more than those Aussie shirazes and Rhone blends on supermarket shelves. Let’s say you just want to drink an old world version of this wine. Surely the whole point of jumping on the GSM bandwagon is to select something genuine, right? Something cheap, something rustic, something from, say, the Rhone itself? Grenache, syrah and mourverdre are just three of 19 grapes found in the southern Rhone, so there is the potential for a lot of variety here, but the reality is that they tend to most commonly appear in wines from this region. I could rattle of dozens of Rhone wines worth trying. Coudoulet de Beaucastel, while still not cheap at about £17, is one of the best. Then there are the old standby volume-made wines: Guigal Cotes du Rhone Villages and M. Chapoutier Cotes due Rhone Belleruche, each for around £11-£12. As always, I recommend asking your local wine merchant to suggest a bottle. They probably have a great one on the shelf that was made in limited quantities by small producers. We aren’t limited to just the Rhone, here. There are plenty corners of the south of France that get ignored because Rhone shouts the loudest. When thinking of GSM, we probably don’t drink enough wine from Saint-Chinian. This bottle, a Terrasses de Balaussan Saint-Chinian-Roquebrun 2010 that I bought for £12.49, was one of those wines I brought along to a 7WordWineReview dinner hoping for the best. Unusually for my recent contributions to these dinners, this one wasn’t rubbish. Sometimes, the wines you buy are duds. but this one earned praise. It expresses the warmth of the south of France, the garrigue, the stones, the sun and the dark fruits. This is just an honestly good wine that offers genuinely enjoyable drinking for the price. Where is this Saint-Chinian place then? Well, it’s between Minervois and Faugeres. Has that confused you yet? Look on a map of France, find the border with Spain on the Mediterranean and look for a city called Beziers. It’s about 40 km inland from there. The Rhone isn’t the only part of southern France that does wine well. Back in the 1990s, one of Coca-Cola’s advertising slogans was to declare that it was ‘the real thing’. This was, of course, intended as a way for Coke to differentiate itself from the imitators out there, something that it has been doing since the late 19th century. The words never really had much meaning for me. It could have been because I was only 11 at the time. It could also have been because I paid more attention to Cindy Crawford, who adorned their television commercials and billboards at the time. The phrase ‘the real thing‘ was packed full of as much meaning as Fox News’s claim to being ‘fair and balanced’. What exactly is ‘the real thing’ anyway? Apart from being a tautology, it is also a pointless declaration. Not long ago I discussed the concept of real and natural wine, so I won’t drone on about that again. But what I will do is discuss those times you get the real thing and those times when you get an imposter. We have all had those moment of success, when that bottle you bought for its striking label it delivered everything you wanted and more. And then…well then there are the times you found disappointment at the bottom of a rough-and-ready jug wine: something with the consistency of diluted Ribena with a vague flavouring of alcohol. For instance, Faugeres. This is a small appellation within the Languedoc, inland of Beziers on the French Mediterranean coast. The production here is mostly red wine from the carignan, cinsault, grenache, mourvedre and syrah grapes, although white wines make up about a fifth of the annual output. This is a young appellation, having been created in 1982, but like much of the South of France, quality levels are high and consistent these days. Two of my favourite Languedoc wines, Domaine Leon Barral Faugeres 2010 and Clos Fantine Faugeres Tradition 2011, both come from Faugeres, selling at £19.50 and £14.50 respectively. Together they meet all of those expectations that form when opening a bottle of wine: fragrant, rich, earthy, complex and hedonistic. So to be fair to Domaine Marie Faugeres 2012, it was always going to be fighting an uphill battle. A mere supermarket wine selling for £8.49 at Waitrose could not be expected to be the real thing. It is lighter in body than the others, big on fruit with a scattering of spices and an easy-drinking style. So what’s the problem? The problem is that it doesn’t quite tick all of the boxes. That it is another affordable wine that falls short of expectations. That I am sure siphoning the essence from the tank of a clapped out Citroen would yield a similar result. This is one of those wines that reminds you why you should have spent more. It is why people buy a Tag Heuer watch rather than a Timex. One is weighty and expresses quality; the other is light, flimsy and made for mass market consumption. If you goal is to achieve that slight buzz that only three glasses of wine can produce, Domaine Marie does it just as well as the others. But a fine wine experience it is not. It appears that in Faugeres, if you want the real thing, you need to spend real money.